The reason it's so difficult to sue for pain and suffering from a car accident claim is because the government has enacted a law making it that way. This law limiting an accident victim's ability to sue was enacted based on the encouragement from the insurance industry. They successfully lobbied, and continue to successfully lobby government to make changes to the law to limit the rights of accident victims, in order to minimize the exposure of insurance companies. This means that insurance companies are paying less for claims in order to maximize their profits. The threshold for pain and suffering claims did not exist back in 1970 or in 1980. So, if you were involved in a very small car accident in those decades, you could simply sue the other driver for pain and suffering, irrespective of the severity of the injuries. Courts have defined this in many ways. 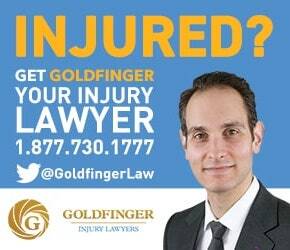 But, for the purpose of the Goldfinger Guide, the term "serious" means if you cannot work, cannot act as a caregiver, cannot participate in your normal activities of daily living. If you're able to work as you once did before the car accident; if you lead the same life as you did before the accident, then there's a good chance that the Court will not deem your injuries to be "serious" enough to meet the threshold. Secondly, your injuries need to be "permanent". Permanent means for the rest of your life. If your injuries only lasted 1 year, and then you returned to a normal life, there's a good chance your injuries will not be found to be "permanent"; and therefore, you won't meet the threshold for pain and suffering damages. Just a small bump or bruise will not be found to be serious and permanent. The injuries need to be significant, and need to impact the accident victims life in a very real, and very tangible way. Your personal injury lawyer is the best person to make the assessment in terms of whether or not your injuries will meet the threshold. Ask your personal injury lawyer about this.